The Magistrate of Polgahawela in the South has detained an award-winning Sinhala novelist on the charges of inciting ‘religious hatred’ for his short story on homosexuality among the Theravada Buddhist monks. The monks got the SL Police and the judiciary to invoke the clauses of the SL State's ‘compliance’ to International Covenant on Civil and Political Rights (ICCPR) which prohibited religious hatred to remand 33-year-old Shakthika Sathkumara on 01 April. Meanwhile, Jaffna Magistrate Peter Paul, a Tamil who hails from the up-country, delivered a blow to the SL ‘Terrorist’ Investigation Division on the issue of Freedom of Speech and the SL State's ‘compliance’ to ICCPR on Friday. 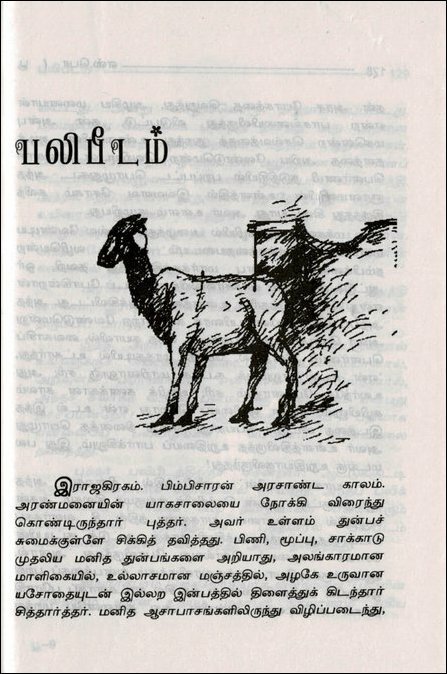 To set everything into context, a Tamil short story, Pali-peedam, authored by the late Eezham Tamil creative writer S. Ponnuthurai (Es Po) four decades ago is reproduced at the end of this news feature. The SL TID was demanding the editor of a Colombo-based Tamil weekly to reveal the source of information and identity of the author of an article it had published about the late Brigadier Balraj, a highly esteemed military commander of the LTTE. The TID was citing the PTA clause and was demanding the Magistrate in Jaffna to initiate legal action against the editor who was steadfastly refusing to divulge the details. “Around thirty-eight journalists have been slain in the past. More than thirty of them were Tamils, and the SL State's armed forces are the alleged offender behind most of these crimes,” recalled senior lawyer N. Kandeepan, a day after the case was dismissed. He was representing the editor in the case at the Magistrates' Court in Jaffna on Friday. 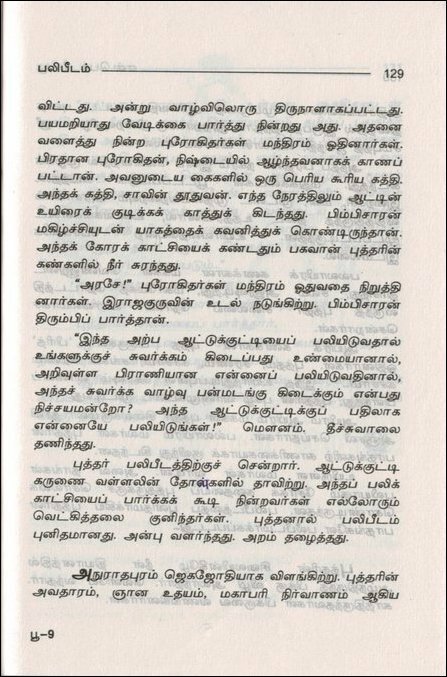 In January 2019, the TID managed to secure an order from a Magistrate in Jaffna to demand the editor of Thamizh-thanthi, Sri Ranga Jeyaratnam, to collaborate with the TID on revealing the identity of the author of the article that appeared in a pen-name. 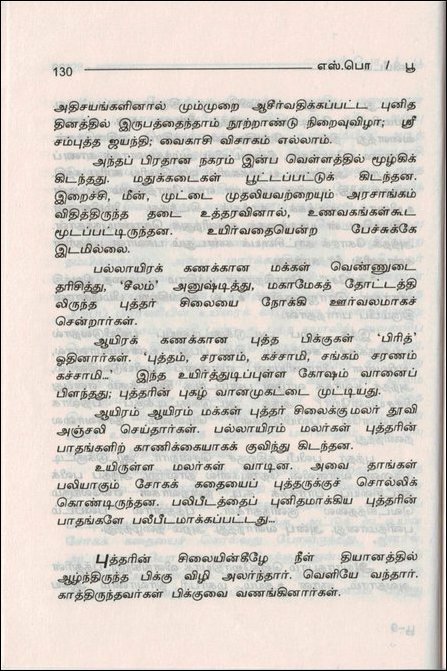 The editor refused to reveal the identity and moved a motion through a team of lawyers who were led by N. Kandeepan. The SL TID responded by filing a B-Report. However, the reasoning given by the TID under the Prevention of Terrorism Act was denounced by Chief Magistrate Paul on Friday and the case was dismissed. In the meantime, the monks who got the Magistrate in Polgahawela in the South to detain the Sinhala novelist have deployed the ICCPR Act of 2007. The Act has been further ‘consolidated’ by the UNHRC discourse in the island after 2009. Cases filed in terms of the ICCPR have to be moved at the High Court to secure Sathkumara's release from custody on bail, legal activists in Colombo said. 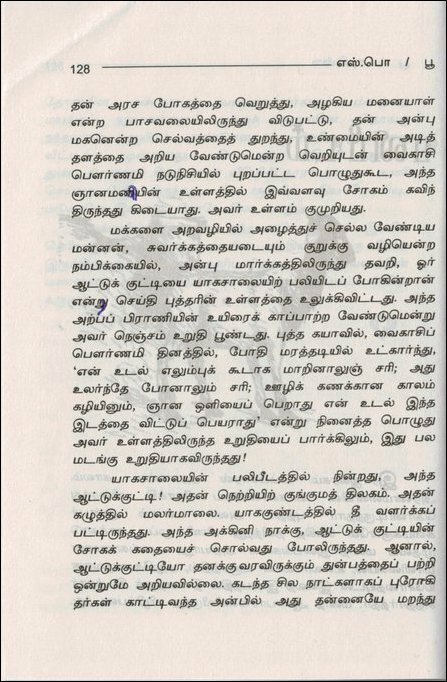 Meanwhile, Tamil journalists in Jaffna expressed fear that the TID would be deploying the ICCPR Act rather than the PTA in the future against Tamils. They urged legal activists among Tamils to create awareness on the issue and join hands with the progressive Sinhala activists in exposing the unworkability of course-correcting the SL State through making it cosmetically comply with the international laws. The unitary system has to be fundamentally reconfigured, and such a paradigm-shift is not possible without meaningful international investigations on Tamil genocide, they reiterated. The term ‘Sri Lanka’ implies ‘chosen island’ for Sinhala Theravada Buddhist extremists. 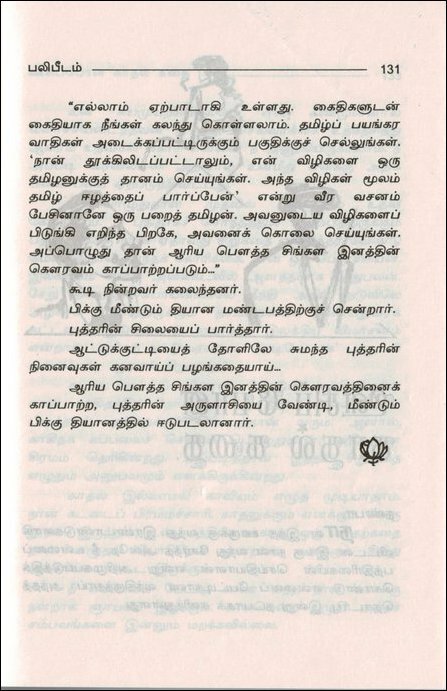 That is why Tamils responded with non-violent ‘Anti Sri’ campaign as far back as 1956, almost two decades before the official name Ceylon was dropped. The unitary state is genocidal from its name to its institutions, the journalists further commented. The Mahawansa mindset, a mythical narration from a certain period of the past, was strategically deployed by the British colonialists using the divide-and-rule politics and it is the primary reason for the aggravation of Sinhala exclusivist nationalism in the island. 04.01.14 Theravada Sinhala Buddhism needs further understanding in Ta..